Re-Opening & Thanks to Community Supporters! The Cowichan Neighbourhood House (CNHA) is holding a Grand Re-Opening this Saturday, June 20 at our new location. 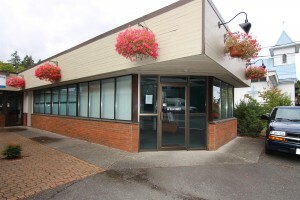 The new location is in two units at 9806 Willow St., just next door to the old location at the Old Chemainus Fire Hall. A ribbon cutting ceremony with cake will be held 1pm after the Chemainus “Summer Fest” Parade, where CNHA youth & Members participate with a float. The Old Chemainus Fire Hall, where we were housed for more than 17 years, will be demolished to make way for the new Chemainus Library. After years of planning, fundraising, renovations and restructuring, we are very relieved to re-open next door at a central location. The district of North Cowichan will cover rental costs for a 4 year term and helped fund renovation costs with a $20,000 grant. We are also grateful to Cowichan Estates Limited for being both understanding and very accommodating, and to Jerry Lealand, of Lealand Contracting, for his invaluable leadership and generosity during the renovation process. A big THANK YOU to all the businesses, organizations, and individuals who helped us re-open our doors. Rotary Club (Ladysmith) & the Knights of Columbus who helped with our move. Despite progress and best efforts, the CNHA continues to struggle with rising costs and final renovations. We still need to raise almost $10,000 to fully complete renovations. We are still awaiting a response from a granting agency, but we still need to fund raise to cover all the costs and will be holding events advertised on our website. The next fundraisers are a BBQ Salmon Lunch & Silent Auction July 4 during Market Day and our Open Mic Night, July 17 to be held at United Church.